The weather is getting warmer on the East Coast and I can’t stop thinking about grilling! I also remembered I had some left over pulled pork in the freezer, but no BBQ sauce. I wanted to try my hand at making my own sauce so I could put my own twist on it. 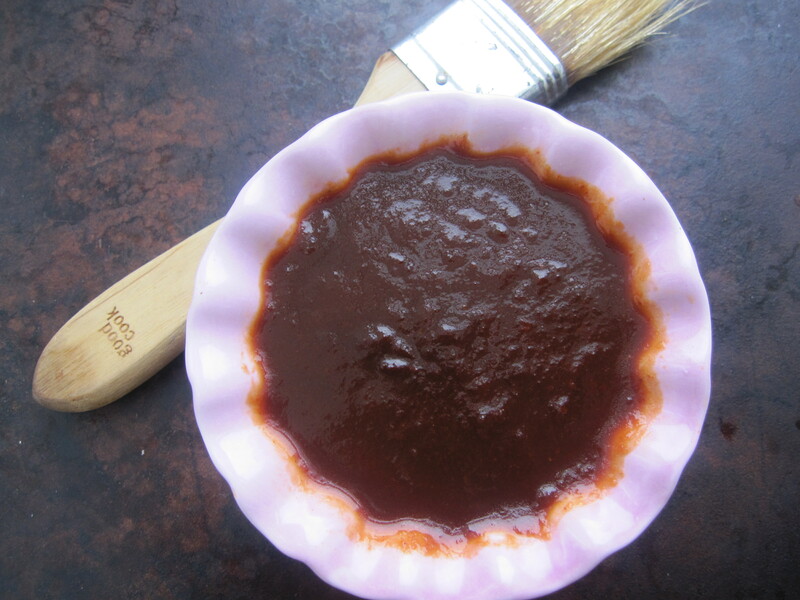 I know some people are not fans of sweet BBQ sauce, but I am. So if your like me, definitely give this sauce a try! Heat butter and oil in a large saucepan over medium heat. Grate onion using a metal grater or food processor. Add grated onion and garlic to pan. Cook 10 minutes stirring occasionally. Add bourbon and simmer for 5 minutes. While that is simmering, add tomatoes, mango, and habanero pepper to a blender or food processor and pulse until smooth. If you like a lot of heat add the whole habanero, if not just add half. You can also use jalapeno peppers. After the five minutes, add the tomato mixture to the pan along with the remaining ingredients. Feel free to adjust the spices and add the flavors you like. Simmer the sauce for 30 minutes to allow the flavors to blend. I love strawberries and I love bbq – I can´t thank you enough for this recipe – looks delish!! Thanks! I hope you get a chance to make it!